Bangalore-based e-commerce consultancy firm Ace Turtle Services Pvt. Ltd is looking to double its revenues and customer base next financial year on the back of its planned international foray and launch of an analytics product. Berry Singh, co-founder and COO of Ace Turtle, told VCCircle that the company had a revenue run rate of $4 million (Rs 26 crore) for FY17-18, which was poised to reach $8 million (Rs 52 crore) by FY18-19. “We are recording 25% month-on-month growth. At this rate, we should attain breakeven at the company level in two years' time” Singh added. The startup, founded in 2013 by Singh and Nitin Chhabra, helps offline brands go online by providing technology, customer support, marketing solutions and analytics via an integrated platform. Ace Turtle currently caters to over 20 large brands from the fashion industry, including names like Puma, Ed Hardy, Arrow, US Polo, Flying Machine, Fossil and Ray-Ban, among others. It is about to ink deals with an additional 8-10 fashion brands. Going ahead, the company is also looking to diversify into the fast-moving consumer goods and consumer durables space. E-commerce enablers typically serve two broad categories of clients—large brands, and small and medium enterprises (SMEs). Ace Turtle, which caters only to large brands, has no plans to diversify its offerings to cater to SMEs. “Our technology platform fits best with brands that do large volumes of business... enterprise brands. Also, the omni-channel space in India is still maturing. It's not a plug-and-play model that will work immediately for a business. 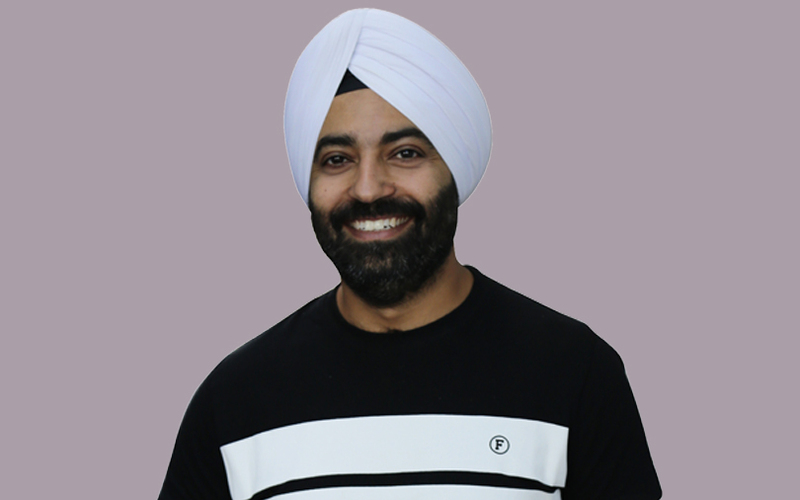 Large brands realise the potential of a platform like ours, and are patient to engage with us on a long-term basis,’’ Singh explained. The company’s flagship offering, Rubicon, combines functions like order management, inventory management, logistics management and catalogue management. It is now developing an omni-channel analytics platform to track and analyse consumer data. “One is the single view of the inventory... other is the single view of the consumer. The consumer side of the product will track his buying pattern across platforms. The brands will append this information and try to build a unified customer image,” explained Singh. With these data, brands can create customised campaigns to influence buying behaviour and understand where to channel their efforts. The startup expects to launch the product by the end of the year. Singapore and Malaysia will be the company's first ports of call, Singh said. It expects to launch operations in the two Southeast Asian nations by the end of the year, and then gradually cover other countries in the region. The company has also identified countries that are part of the Gulf Cooperation Council as a potential market for expansion. A lot of the firepower required for this expansion will come from the $5 million (Rs 32 crore then) Series A round that Ace Turtle raised from Vertex Ventures Southeast Asia and India, a venture capital arm of Singapore state investment firm Temasek, and Singapore-based real estate developer CapitaLand in May. The funds, Singh added, were expected to give the company a two-year operational runway. The e-commerce enabler space has seen significant investor interest in recent times. Last month, Zepo Technologies Pvt. Ltd, which runs a do-it-yourself e-commerce platform for small businesses, raised Rs 3.19 crore from a clutch of investors including online funding platform LetsVenture, FreeCharge co-founder Kunal Shah and People Group founder Anupam Mittal. In June, Singapore- and Bangalore-based e-commerce enabler Shopmatic raised $5.7 million in Series A funding from ACP Pte Ltd, a technology-focussed venture capital firm, and Spring Seeds Capital Pte. Ltd, the investment subsidiary of SPRING Singapore. In May, Singapore- and Pune-based Anchanto raised an undisclosed amount from Luxasia Group, a Singapore-headquartered omni-channel retailer of beauty products. *This article has been updated to clarify details about the company's investors.